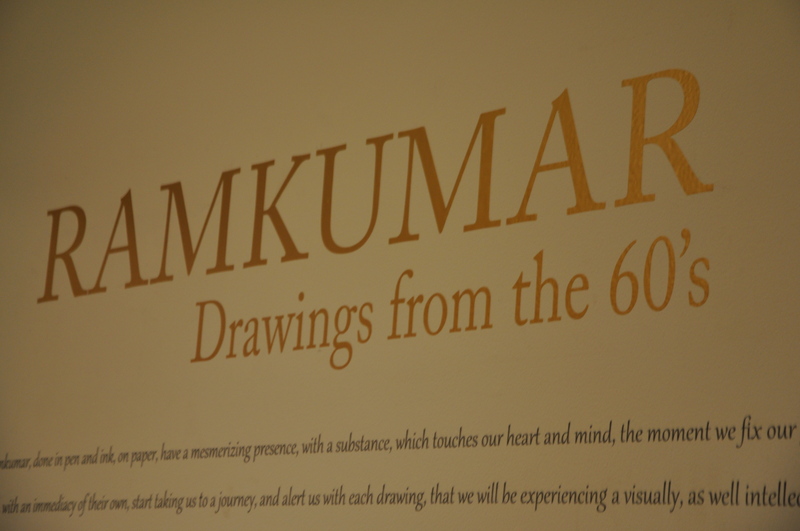 Day 3 was held at Gallery 7 where all the children went to see the exhibition of Ram Kumar, a Bombay Progressives artist. 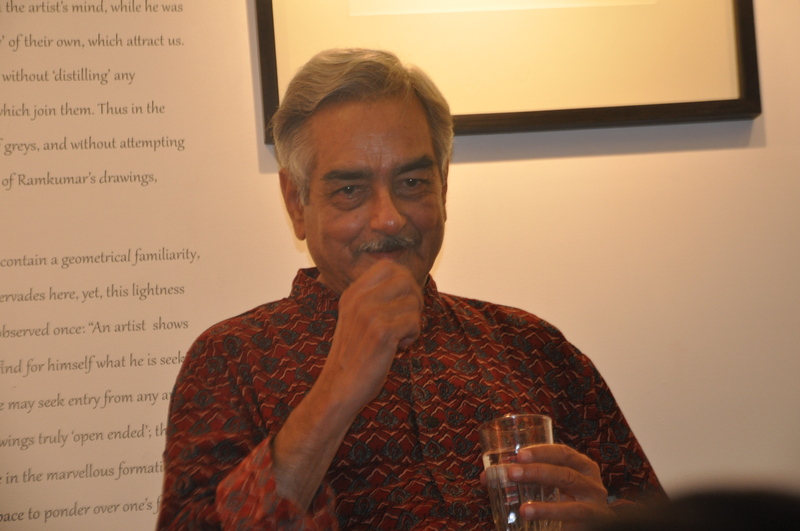 The show started with Mr. Prayag Shukla, art critic & poet, introducing the artist and his life. He also led the discussion about the interpretations of art and its meaning(s).“Apni masti mein chalta hai artist, it doesn’t matter whether we paint or not, but we become an artist when we see a work of art. 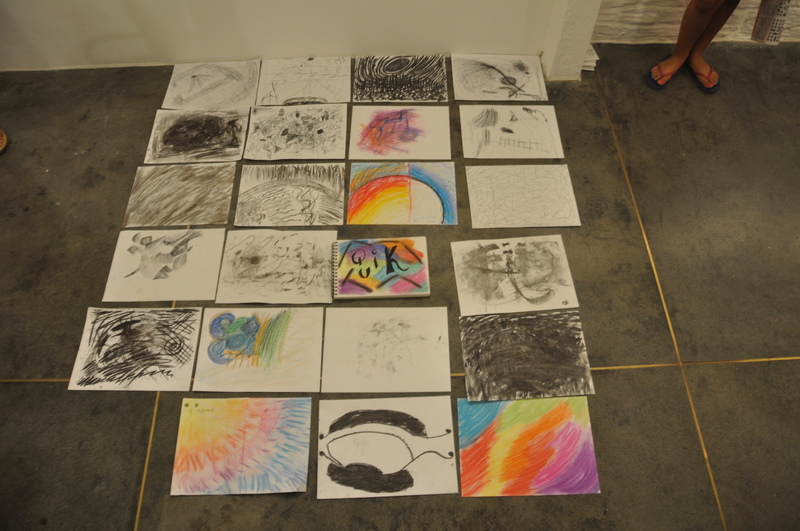 We become an artist because we start adding and subtracting from the work; we see what is there but we also see what is not there.” The kids learnt that every piece of art always has more than one meaning and should always be open to interpretation. Mr. Prayag Shukla reciting “Dhamak Dhamak”, his poem for children. 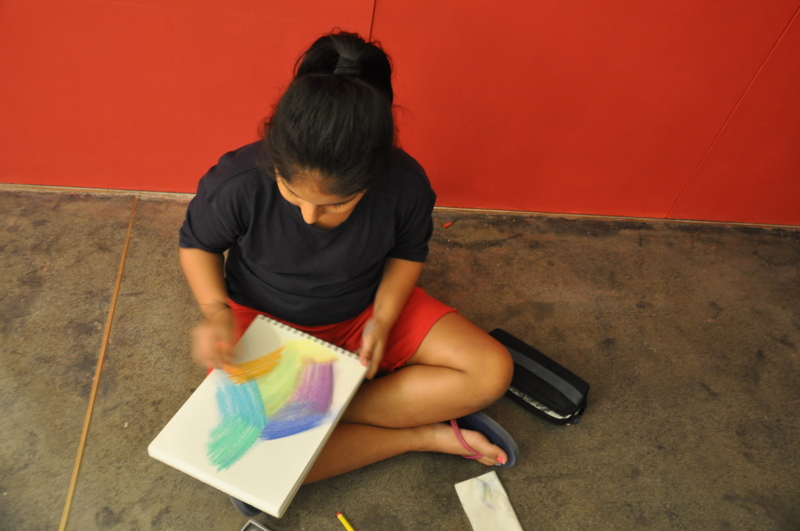 The children then went on to create spontaneous works where they explored the beauty of lines and color, inspired by the creations of Ram Kumar. 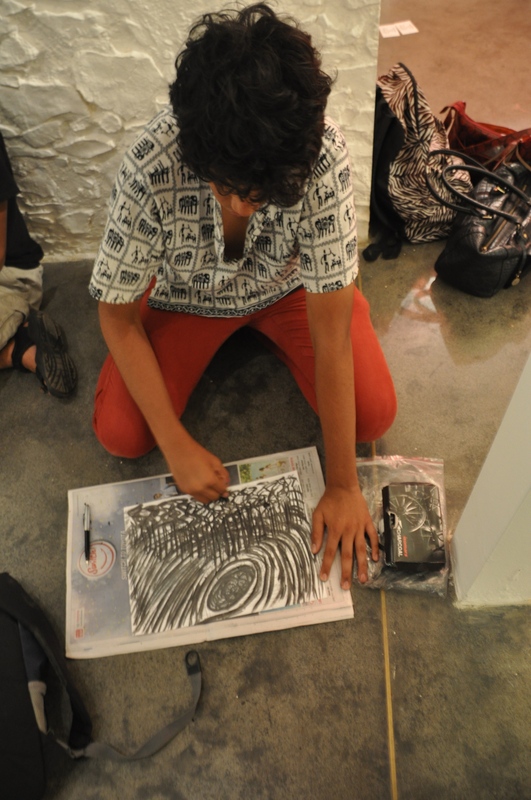 This piece is written by Rehaan Kaul, a student intern for Art1st. Next Very often when we look at the work of an artist, we try to excavate the story the brush has painted. Our imagination is tickled by what we see and before we know it we are soaring high with our own little secret story. Sharing with you one such story inspired by the works of a Belgium artist Pieter Bruegel The Elder.